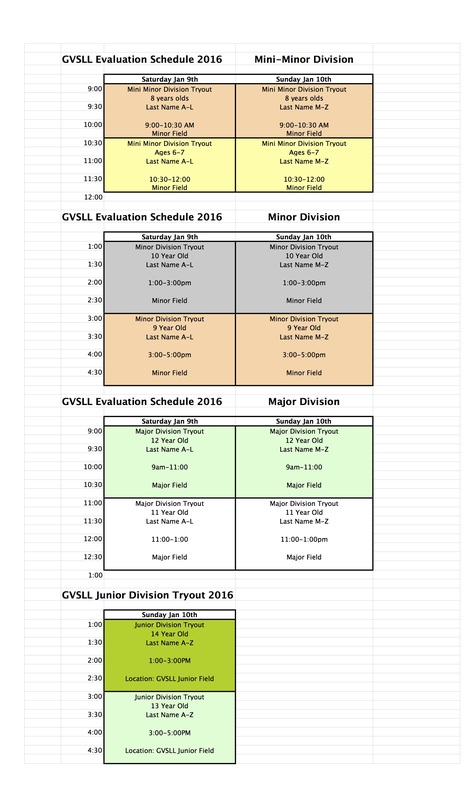 Evaluations for Spring 2016 are scheduled for January 9 and 10, 2016. ALL PLAYERS must attend evaluations except for T-Ball players. RAIN MAKE UP is scheduled for January 30 and 31, 2016.